Renault has officially launched its Kwid small car in India priced at Rs. 2.56 lakh Ex-showroom, New Delhi. The Kwid is available in only petrol variants and comes in 4 trims – Std, RXE, RXL and RXT. 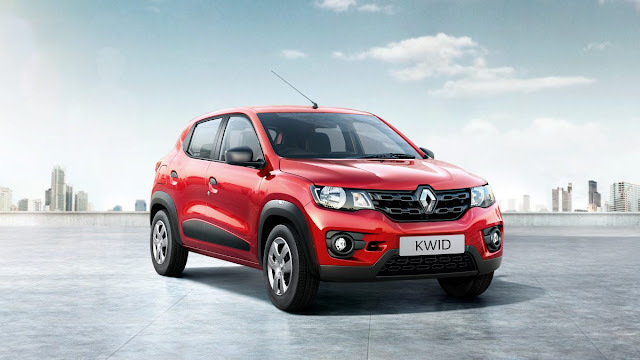 Renault KWID is an ambitious car from Renault, particularly by Mr. Carlos Ghosn. The can has been designed in collaboration with Indian as well as French designers. The KWID features a unique SUV like design which is not seen in an entry level car segment. The KWID is powered 800cc, 3 cylinder petrol engine which manages to pump out 54 Ps of power. The engine is basic and has no modern technology involved in it. Being a 3 cylinder motor you will notice high noise levels in the first gear, but as the speed picks up, you have to be very keen to appreciate the sound of the engine. As said by Renault chief, the KWID will be a game changer in India. With AMT option on the cards, Renault has a good product to cheer the Indian customers.